YEREVAN (RFE/RL) — Armenia on Wednesday strongly condemned Belarus, a fellow member of two Russian-led alliances of ex-Soviet states, for arresting and extraditing to Azerbaijan a Russian-Israeli blogger who has repeatedly visited Nagorno-Karabakh. A senior member of the governing Republican Party of Armenia (HHK) lashed out at Belarusian President Alexander Lukashenko and said Yerevan should seek Belarus’s expulsion from one of those blocs: the Collective Security Treaty Organization (CSTO). The blogger, Alexander Lapshin, was flown to Baku late on Tuesday immediately after Belarus’s Supreme Court upheld a lower court ruling authorizing his extradition to Azerbaijan because of his trips to Karabakh. Lukashenko, who has ruled the former Soviet republic for more than two decades, predicted such a verdict late last week when he strongly defended Lapshin’s arrest in Minsk. “The persecution of Alexander Lapshin and his extradition to Azerbaijan is a gross violation of human rights and fundamental freedoms of speech and movement, which once again demonstrates the existing gap between dictatorship and democracy,” said Tigran Balayan, the Armenian Foreign Ministry spokesman. Balayan expressed confidence at the same time that the precedent set by the Belarusian authorities will not discourage more foreigners from visiting Karabakh without Baku’s permission. “It is beyond doubt that the flow of political and public figures, artists, journalists and tourists to Artsakh will not stop but will multiply,” he said in a statement. Edited by onjig, 11 February 2017 - 09:13 PM. Belarus extradited Alexander Lapshin as per an agreement made during made as part of the Soviet. There is no Soviet~Belarus President seems to be a bit of a snake! YEREVAN, FEBRUARY 23, ARMENPRESS. The American Huffingtonpost has published an article referring to the violations of freedom of movement by Azerbaijan and declaring manhunt against blogger Alexander Lapshin. “Armenpress” reports in the article headlined “You can visit the Moon, but not Nagorno-Karabakh: the mind-boggling politics of Azerbaijan’s Aliyev administration” introduces the background of Nagorno Karabakh conflict and how another dictator, Joseph Stalin, forcefully encompassed Artsakh, with 95% Armenian population, into Azerbaijani SSR in 1921, setting the grounds for the contemporary conflict. The article also refers to the violations of the dictatorial regime of Aliyev’s clan. “Among other ploys, Baku has continued to insist that any foreigner who visits NKR has actually illegally trespassed onto Azeri lands. The Ministry of Foreign Affairs of Azerbaijan has declared 683 of these unfortunates as personae non grata. When you consider that over 25,000 tourists have actually visited NKR in the last two years alone, you realize how incomplete the list is and how absurd Baku’s persecution of Aleksander Lapshin. Of course, Azeri officials can only blacklist those people whose names come to them through print and social media or other public avenues. The US astronaut Charles Duke, the Spanish opera star Montserrat Caballe and France’s incumbent Minister of the Interior Bruno Le Roux all figure prominently on this list. Duke was the 10th human being to walk on the moon aboard Apollo 16, but after visiting NKR, he may never set foot in Azerbaijan—assuming he’d ever want to”, writes the article. Lapshin is a traveler-journalist who has visited 120 countries. In late 2016 he visited Belarus – a decision for which he must have regretted. He was extradited to Azerbaijan on February 7, 2017. “Not surprisingly, both Aliyev and Belarussian President Aleksander Lukashenko are on Reporters Without Borders’ Predators of Press Freedom list. Lukashenko originally cited Lapshin’s supposed presence on Interpol’s database as grounds for his decision to detain him. Interpol headquarters in Lyon, France deny its participation in the blogger’s arrest… not surprisingly perhaps, strange happenings have occurred on Lapshin’s Live Journal blog since he arrived in Baku: his posts about NKR have disappeared and Nagorno-Karabakh has been removed from the list of countries that he has visited. According to the CPJ, some 259 journalists worldwide currently languish in jail, six in Azerbaijan alone, a remarkable number for the small country of seven million on the Caspian. Reaction around the world in defense of Lapshin has been swift. And in a possibly related answer to Azeri tactics, Russia recently detained 200 Azeri citizens in a sports hall in Dagestan, citing territorial violations as the reason for their actions”, reads the article. Asbarez.com Did Lapshin Curtsey to King Aliyev? Russian-Israeli blogger Alexander Lapshin being detained earlier this year. Azerbaijani President Ilham Aliyev’s abrupt pardon of Russian-Israeli blogger Alexander Lapshin, who was serving a three year sentence in a Baku prison for visiting Artsakh, was a surprise to those who have been following this case when Lapshin was unceremoniously extradited to Azerbaijan by Belarus authorities late last year. Lapshin’s pardon also was peppered with news that he attempted suicide at the prison a day before Aliyev’s announcement. This was followed up with reports that he was under medical care following the attempt. It seems, however, that a day after the reported suicide attempt Lapshin was well enough to pen a letter praising Aliyev, Azerbaijan and offering a rare mea culpa for someone who had unequivocally admonished the Aliyev regime for its abysmal human rights record. However, it wasn’t his criticism of the Baku regime that landed him in jail, as those charges were dropped. It was his visits to Artsakh and his generally positive coverage of that country in his travel blog that compelled the court to sentence him to three years in jail. Below is Lapshin’s letter as was reported by the Baku-based news.az. I was sentenced to 3 years in prison by the Baku Court of Grave Crimes on 20 July, 2017. I was charged under the Article 318.2 (illegal crossing border of the Republic of Azerbaijan) of the Criminal Code of the Republic of Azerbaijan. The charge against me under Article 281.2 of the Azerbaijani Criminal Code (public appeals against the state) was dropped due to a lack of evidence. “Today I learnt that the decree was signed to pardon me. I am very grateful to you. I guess I have never waited for anything like this in my entire life! “I regret for the things I have done. I did not have knowledge of the issues happening in the region and neighborhood regions during my visit to the Nagorno-Karabakh. “Now, I acquired indisputable facts that Karabakh is a land of Azerbaijan and I realized that sooner or later Karabakh will be Azerbaijan. Hope, Nagorno-Karabakh conflict will be solved within the territorial integrity of Azerbaijan. “I want to express one more time my deep regret regarding the irresponsible behaviors of mine. I am very grateful for your kind understanding and compassion. “I wish to you, your family and Azerbaijani people health, longevity and prosperity. I do believe that Armenian-occupied Azerbaijani territories will be liberated. The fact that Lapshin’s letter stinks of Azerbaijan’s talking point on the Karabakh conflict down to the detail of his alleged wish for liberation of “Armenian-occupied Azerbaijani territories,” signals that he was forced to sign this letter as a condition for his release. Time will tell what Lapshin will do following his stint in an Azerbaijani prison, which was widely criticized by the Armenia, Russia and international watchdog groups such as Amnesty International and Reporters Without Borders. But one hopes that Lapshin will continue his chronicles and will one day visit Artsakh again for the sake of freedom of speech and the press. He may have had to curtsey to King Aliyev to get the hell outta dodge, but his future actions will determine whether the outcry over quashing fundamental freedoms yielded a beneficial outcome or was in vain. 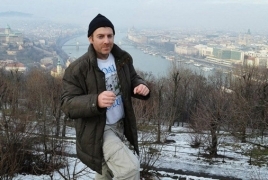 Russian-Israeli blogger Alexander Lapshin has for the first time commented on his time at an Azerbaijani jail after he was sentenced to three years in prison for visiting Nagorno Karabakh. Azerbaijani president Ilham Aliyev on Monday, September 12 signed a decree to pardon Lapshin. "On the night of September 11, when I was already in the prison cell, the door pulled open. I did not even have time to stand up when some figures grabbed me by the neck and hands and punched me in the ribs. I do not remember anything afterwards. Then I remember waking up at a Baku hospital, with two broken teeth and hematomas all over my ribs," Lapshin said in his blog. Also, the blogger categorically denied he had made a suicide attempt shortly before being released from prison. Lapshin was sentenced by the Baku court on grave crimes on July 20, 2017 over his visit to Karabakh. The blogger was detained in the Belarusian capital of Minsk in December 2016 at Baku’s request. He was flown to Baku on February 7 and handed over to the Azerbaijani State Security Service. Azerbaijan’s prosecutors opened criminal cases against him envisaging jail terms of between five and eight years. Blogger Alexander Lapshin's first post since being released from prison in Azerbaijan. If Azerbaijan expected gratitude for releasing a blogger from prison early, it has miscalculated. When Russian-Israeli travel blogger Alexander Lapshin was released after seven months in an Azerbaijani prison, his lawyer announced that Lapshin had written a letter of thanks to the country's president, Ilham Aliyev. "Today I learned that you [Mr. President] have signed an order on my pardon. I am very thankful to you for this," said the letter, released on September 13 by Lapshin's lawyer in Azerbaijan. 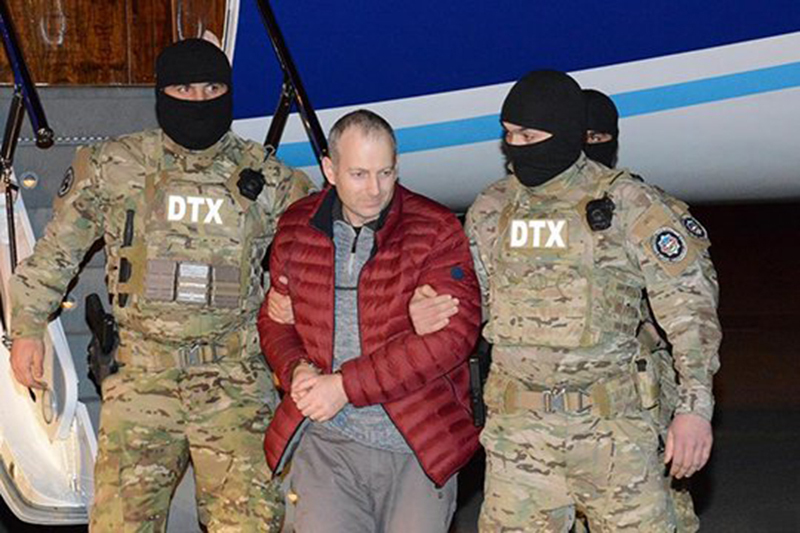 Lapshin had been arrested in Belarus in December, and then extradited to Azerbaijan in February, for crossing into Nagorno Karabakh, the territory that is internationally recognized as part of Azerbaijan but which is controlled by Armenian forces. His time in prison, it appeared, had changed his views on the Karabakh question. "Now I am fully convinced that Nagorno-Karabakh is Azerbaijani territory. I hope that the Nagorno-Karabakh problem will be resolved within Azerbaijan’s territorial integrity,” the letter continued. The blogger "also wished President Ilham Aliyev strong health and long life, expressing hope for the soonest liberation of the Azerbaijani territories," news agency APA reported. To no one's surprise, however, as soon as Lapshin was out of the country his views quickly shifted. He took to his blog and Facebook to tell his side of the story, which contradicted the Azerbaijani narrative in almost every respect. For one, he denied Azerbaijani government statements that he had attempted suicide while in prison. Instead, he wrote, he was badly beaten, to the point that he passed out and woke up in a hospital hooked up to a catheter and an oxygen mask. He further speculates that the attack was carried out to discredit Aliyev personally, which he says corresponds to what he has been told by Azerbaijan's opposition living abroad. He also thanked a number of people who helped him while he was in prison, none of whom was Aliyev. Instead, he expressed gratitude to the staff of the Russian and Israeli consulates in Baku, who visited him regularly. And he thanked the Red Cross, which he lauded not just for helping him but for its work "in such troubled countries as Azerbaijan, Somalia, Afghanistan, and Rwanda." He even more strongly took back his statements about Karabakh, declaring in a Facebook post that it was without doubt Armenian territory. “Armenians, hold firm!” he concluded. “These people want to see you dead, full stop. And if you lose Karabakh as a result of negotiations or a weakening of Armenia’s position, be aware that they will come to slaughter you. Just like the Turks did 100 years ago. Their brutality already has exceeded all acceptable limits." The post set off the mother of all social media fights between Armenians and Azerbaijanis; 20 hours after it was posted it had already gotten more than 2,900 reactions (either likes or hates), over 1,000 shares and hundreds of comments. It's unclear how Lapshin, if he went into prison in Azerbaijan believing that the Karabakh question was "disputed," how he left it seemingly having absorbed a strongly Armenian nationalist view of the history and conflict. What's very clear, though, is that Azerbaijan has created for itself a PR disaster entirely of its own making, and that shows no signs of going away soon. In the space of about 24 hours he's already written three blog posts and has a knack for hitting all of Azerbaijan's sore spots, claiming the country is a hotbed of Islamist extremism and anti-Semitism, on top of everything else. He's started the hashtag #azeromarazm, translating roughly to "Azeri stupidity," which a number of Armenian twitter users have adopted gleefully. 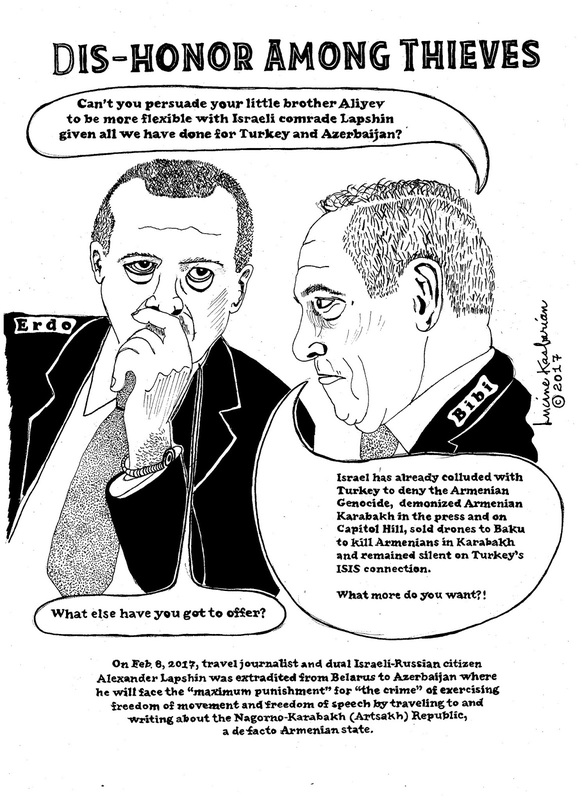 Ironically, give the anti-Semitism claims, the timing of Lapshin's release appears to be connected to a visit by Defense Minister Zakir Hasanov to Israel. Baku appeared to think the pardon would be a humane gesture to show their Israeli partners, which now seems to have badly backfired. Russian-Israeli blogger Alexander Lapshin, who has recently returned to Israel after being released from an Israeli prison, said that doctors' exams have confirmed that Baku's scenario of Lapshin's alleged attempted suicide are false. Shortly after his release, Azerbaijan declared that Lapshin had attempted to commit a suicide while in the Baku jail, which the blogger denied in a Facebook post. "I have been at Rambam Health Care Campus in Haifa all day long collecting documents on violence in the Azerbaijani prison," Lapshin said in a Facebook post. "Doctors agreed that Azerbaijan's scenario about the suicide attempt does not survive criticism, while the signs of beating are obvious." Lapshin was sentenced by the Baku court on grave crimes on July 20, 2017 over his visit to Nagorno Karabakh. reports Lapshin wrote about this in his personal blog. Russian Federation”, the blogger wrote. them to do ridiculous and useless job. demonstrative process and he did his job”, Lapshin wrote. has himself exposed the attempt of the secret deal. Court of Artsakh has convicted them to life imprisonment. the murderers with me when I am not a citizen of Armenia? for Israel. I am also thankful to Armenia for it did not step back. civilians and are arrested in Artsakh as a jihadist movement. Russian-Israeli blogger Alexander Lapshin wrote in his blog that the Azerbaijani media are 'calculating' the percentage of Armenian blood that top Russian officials have. Lapshin was sentenced by the Baku court on grave crimes on July 20 over his visit to Nagorno Karabakh. The blogger was detained in the Belarusian capital of Minsk in December 2016 at Baku’s request. He was flown to Baku on February 7 and handed over to the Azerbaijani State Security Service. Azerbaijan’s prosecutors opened criminal cases against him envisaging jail terms of between five and eight years. He was recently extradited to Israel. "Outraged by the fact that the Russian Federation defended my rights during an illegal detention in Baku, the authorities of Azerbaijan through their Azeri-language media have begun to throw mud at the Russian leadership," Lapshin said. "At first, they insulted the head of the Russian foreign ministry press service Maria Zakharova and have reached the foreign minister Sergey Lavrov, calling him the "Russian Armenian Foreign Minister". And this is written in the official media, Turan News." "It seems that anyone who has any connection with the Armenian people is already a criminal. And this is the local mass-media hammering the idea into their own citizens' heads, thereby imposing the image of the enemy. It is very reminiscent of Hitler's racial theory regarding the Jews and Slavs, isn't it? The Nazis also liked to calculate the percentage of "spoiled blood" and, at the same time, write down all the problems of the state on f the Jews," he added. Russian-Israeli blogger Alexander Lapshin has wrote in his blog that his arrest in Azerbaijan helped double the number of tourists traveling to Artsakh (Nagorno Karabakh) in 2017. “2017 was not an easy year for me as I was jailed in an Azerbaijani prison because of a trip I took to Artsakh. I happened to dive into the dirty affairs of the Azerbaijani clans, learn about the family squabbles of the Aliyevs, fly on the personal plane of the wife of the sultan of Baku, witness the bickering for power and oil money in this Muslim country, their racism and hatred not only towards the Armenian people because of the conflict in Artsakh, but towards foreigners as a whole," Lapshin said. Also, the blogger cited the crew of Travel Blog Baltic, who traveled to Karabakh to prepare a film-trip about the country as a popular tourist destination. The teaser unveils stunning aerial footage of the mountains of Karabakh, the hustle and bustle in the capital, Stepanakert, and the tranquil life in villages, the ever-growing economy, the many unique forms of arts and crafts. Three travelers from Lithuania and Latvia decided to go to Nagorno-Karabakh and see the place most people often hear about in the context of conflict, 15min reports. Stanislav Gorbunov, Alexander Alimov and Ivar Utanan from Travelblog.com explored this poorly-known place for tourists and created a movie about their journey. The music was written by local composer Bagrat Terterian. The trip was inspired by the painful history of blogger Alexander Lapshin, who visited Nagorno Karabakh in 2011 and 2012 and was later detained by Belarus authorities and sent to Baku. The blogger was sentenced to three years in prison, but has already been released. “He is our friend, and then we got the idea – if Azerbaijan wants to harbor travelers, scare bloggers, stop them from visiting Nagorno-Karabakh, then we will show that there is nothing to fear,” Sergey Gorbunov told 15min. This determination has probably cost him and his two friends already to visit Azerbaijan. If Baku finds itself visiting Nagorno-Karabakh, visas will not be issued to your country. Gorbunov and friends probably found their place in Azerbaijan’s “black list” but are never worried about the fact. “But I never planned to go there,” said Gorbunov.